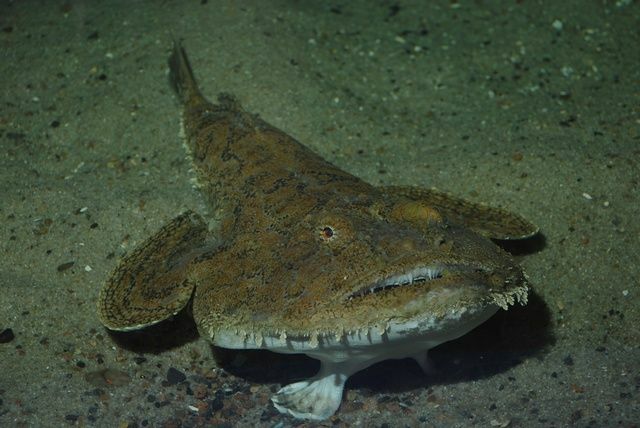 A monkfish, almost indistinguishable from the sand on which it lies. Why waste energy chasing around, if you can attract prey towards you with a lure? Maybe that one was a bit big. The monkfish can wait, for days if necessary, until the right sized meal turns up. Scavengers on the other hand, have to move around to find their food. and that helps them locate the latest body to drift down from above. Eels are already feeding on the corpse. Isopods, like giant marine woodlice a third of a meter long, are ripping into the rotting flesh.